All the deliciousness of Chinese takeout without being fried. 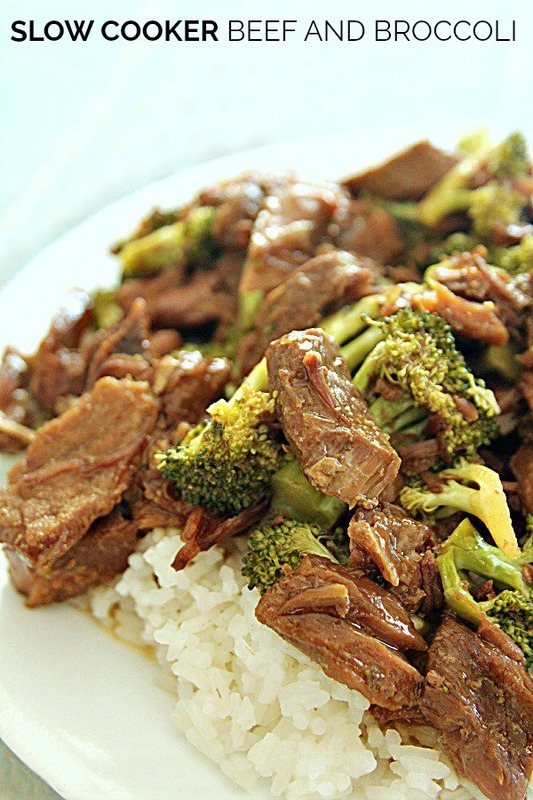 We love this Slow Cooker Beef and Broccoli because it takes just minutes to throw together this version of Chinese Beef and Broccoli tastes just as good as (if not better than!) takeout. This Slow Cooker Beef and Broccoli can be thrown together in minutes. The finished beef is so tender it literally melts in your mouth. Who needs takeout when you can have this for dinner? We love Chinese food but hate how fried it is, so this Chinese Beef and Broccoli recipe is perfect because you get all the flavor without all the frying. After spraying your slow cooker with nonstick cooking spray (or using a slow cooker liner) place your sliced beef in the bottom. In a medium bowl, mix beef broth, soy sauce, brown sugar, sesame oil, and garlic cloves together. Pour over the beef strips in the crock pot and cook on low heat for 6-8 hours (the beef will be so tender that it will fall apart when you touch it). In a small bowl, mix together cornstarch and cold water. Mix in with the beef and liquid that is in the slow cooker. Add broccoli pieces to the slow cooker, put the lid back on, and cook for an additional 30 minutes on high heat. To prepare this beef and broccoli dish ahead of time, we would recommend letting the beef marinade in the fridge in the beef broth, soy sauce, brown sugar, sesame oil, and garlic cloves the night before. Remove when ready to cook, spray (or line) slow cooker, then dump in your slow cooker, and cook according to the directions found in step 3 of the recipe below. In a freezer-safe gallon-size ziploc bag, place beef strips, beef broth, soy sauce, brown sugar, sesame oil, and garlic cloves. Seal and freeze for up to 30 days. Before cooking, let thaw in the refrigerator for 24 hours, then cook according to the directions found in step 3 of the recipe below. To cook from frozen, add 1-2 hours cooking time. This Slow Cooker Beef and Broccoli can be thrown together in minutes. The finished beef is so tender it literally melts in your mouth. Who needs takeout when you can have this for dinner? Place beef strips inside slow cooker. In a medium bowl, mix beef broth, soy sauce, brown sugar, sesame oil, and garlic together. Pour over the beef strips in the slow cooker and cook on low heat for 6-8 hours (the beef will be so tender that it will fall apart when you touch it). In a small bowl, mix together cornstarch and cold water. Mix in with the beef and liquid that is in the slow cooker. Add broccoli pieces to the slow cooker, put the lid back on, and cook for an additional 30 minutes on high heat. Stir well and serve over hot cooked rice. Kelli, I have a similar recipe on my meal plan service. My subscribers insist on freezer to slow cooker meals so I have tested your idea! Directions call to put everything but broccoli and corn starch into a freezer bag. I will note that my recipe calls for frozen broccoli florets that thaw on the counter while the slow cooker does its job. Another note would be to add an hour of cooking time if the freezer bag of ingredients is not completely thawed (my instructions call for defrosting in refrigerator for 12-24 hours). Otherwise, follow the recipe! It works. I wouldn't go so far as to say it tastes like take-out chinese, but it is a fabulous family dinner in its own right. Made this tonight for dinner and it was a hit with the family. It has a very nice flavor and made plenty of gravy.The only change I made was to add onions to mine. This is a recipe that I will definitely make again. Made this for dinner - it was easy and delicious! Thanks for another great recipe! We have only used the Beef Chuck Roast, but I think Stew meat would work well too! Let us know!! Typo: Place beef strips inside slow-cooker. (You wrote "instead slow cooker!") I thought Chinese Restaurants used a wok and sesame oil, not deep frying!) This sounds like what we order at the restaurant! Very nice to know what is in the recipe! I don't have sesame oil, could I just go without it or use olive oil? You should be ok without it. The sesame oil does add extra flavor though. LOVE your recipes!!! My family has enjoyed several of them. I also love how you have made available the nutritional information. Just curious on this recipe. I'm finding the WW point value to be awfully high. A serving of Panda Express Beef Broccoli is only 3 points for 5.4 ounce serving. This recipe is figuring out as 20 points. Hoping maybe this is a mistake. Thanks Tiffany. We'll look into this and see if any adjustments need to be made. Could this be put together the nite before minus broccoli? You could totally add the first 6 ingredients together the night before, then in the morning just place in the slow cooker and continue with step number 3 in the directions. That would save some time in the morning. Thank you. I am making it for tomorrow nite and thought it might be nice to get some of it prepared tonite. My son is allergic to soy. Is there something that could be used as an alternative to the soy sauce? Tried this and loved it! I also added onions as I do to just about everything! Delicious and will make again. Thanks! 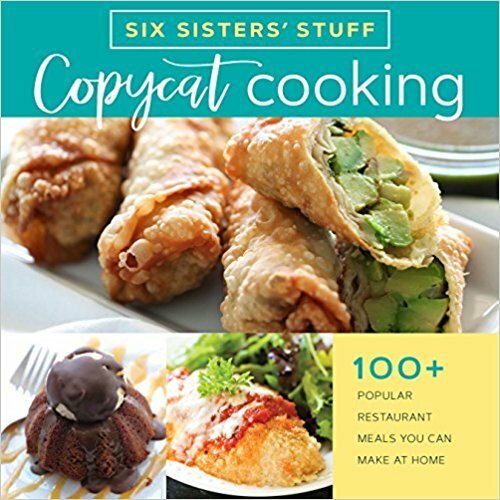 Could this be done in the instant pot? How would the cooking time vary? Do you provide nutritional information for all of your recipes? My husband had a heart attack so we need that information. Your recipes all look wonderful. Hi Dottie, We used to have most of the nutritional information on our recipes, but when we switched over our site, we lost a lot of them. I will try to get the nutrition button on this recipe soon. When you scroll down to the bottom it will say "Get Nutrition Info" in a box and you just click on it. When you see the button you know it has been done. I'll turn it in today. Thanks for your patience.